The railway station in Coonoor has a very vintage vibe to it, from its benches to the old steam trains running through it. It’s perfect for taking black-and-white photos. The railway in this station is a part of the Nilgiri Mountain Railway, which is UNESCO World Heritage Site. For a full historical experience and a scenic train ride through the mountains, visitors must hop on the steam engine train to Mettupalayam. Unfortunately this railway doesn’t serve Kotagiri. It winds up from Coimbatore to go to Ooty , taking in Coonoor on the way. 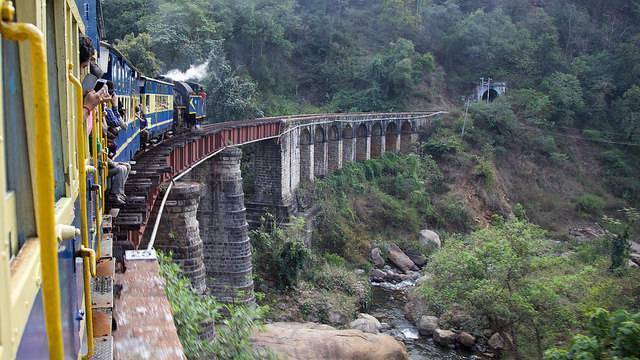 It is built in 1908 and today forms part of the ‘Mountain Railways of India’ UNESCO world heritage site. A famous Hindi song, "Chaiyya Chaiyya" from the film "Dil Se, was filmed on the roof of the railways trains.